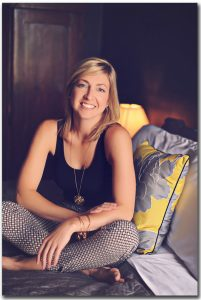 Wicked Sheets began with a simple idea: to address founder Alli Truttmann’s problem of night sweats that left her waking with a feeling of having “wet the bed.” You see, Alli is a “sweater.” She sweats morning, noon, and night – especially at night! A s a former collegiate athlete and personal trainer, Alli had been convinced that her condition was only temporary due to her high-intensity training regimen. However, once her days as an athlete and trainer came to an end, she realized that it was anything but temporary, as the sweating continued with the same intensity. What Alli discovered is that she suffers from hyperhidrosis – a condition of excessive sweating that affects nearly 3% of the global population (120 million people)! In 2008, Alli realized that the answer to her problem was literally at her fingertips – the advanced moisture-wicking fabric of the athletic apparel she had worn for years as an active woman who sweats – a lot. The idea for Wicked Sheets was sparked at a holiday family gathering when Alli’s cousin asked her for advice on coping with the night sweats she was experiencing during pregnancy. Alli jokingly suggested that she cut up her husband’s moisture-wicking golf shirts and sew them together to make bedding that would keep her dry throughout the night. She quickly realized that this was a solution worth pursuing. Alli’s idea blossomed into something wicked. She selected the name Wicked Sheets for her innovative line of bedding, with wicked alluding not only to the products’ ability to wick moisture away from the skin, but also to the wonderful and deeply satisfying comfort they provide. With Alli’s unwavering dedication to providing solutions for those suffering from night sweats and hot flashes and the tremendous feedback we have received from our devoted customers, we are proud to offer the innovative performance and exquisite comfort exclusive to Wicked Sheets. In addition, Wicked Sheets prides themselves on maintaining the highest possible quality of product that’s hand sewn in the USA. Sleep well – sleep Wicked!